Review: Bowie Experience (on tour) Nottingham Royal Concert Hall. – East Midlands Theatre. Review: Bowie Experience (on tour) Nottingham Royal Concert Hall. Bowie Experience at Nottingham Royal Concert Hall is singularly sensational, musically and vocally highly polished with thrilling Bowie costume ch ch ch Changes and full on Sound and Vision. Any given invitation to Let’s Dance and this lively and totally appreciative Nottingham audience are up on their dancing feet and giving it their best. Clearly, from some nifty footwork and fancy arm waving not all the dancing audience are Absolute Beginners. From the very start singer Laurence Knight channels his inner Bowie and ‘simply blows our minds’ with a perfect rendition of Space Oddity. 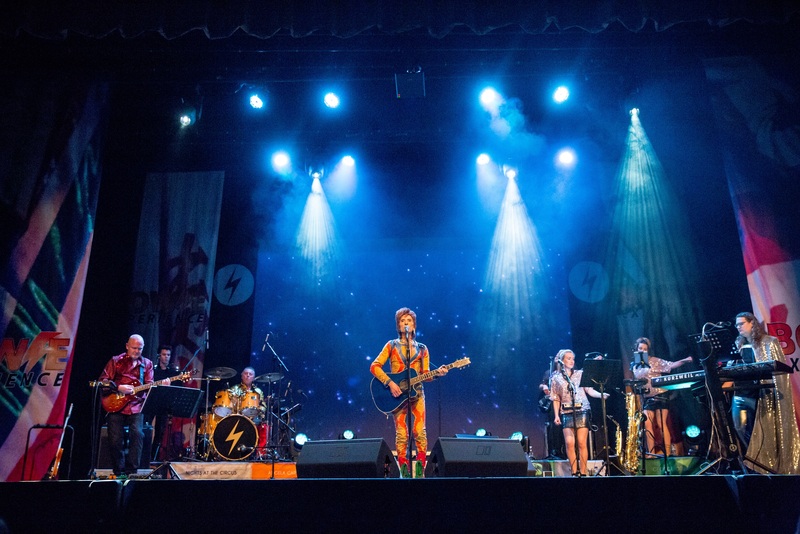 With Knight and his solid band accompaniment we are assured of a fantastic evening’s enjoyment of the genius that was David Bowie through the dedicated and energetic stage work of Bowie Experience. On bass guitar we have Lidia Cascarino Close, Tim Wedlake stuns us with his guitar work, Stuart Darling is a musical magician on keyboards and Paul Gill is great percussionist. Charlotte Elizabeth Talbot impresses with her vocals especially in her duet with Knight for ‘Under Pressure’ which Bowie originally performed with Queen. Multi-instrumentalist Emily Westwood gives us her sultry saxophone and vocals throughout. There is great attention to detail in this show which makes it stand well above any other Bowie inspired offering. 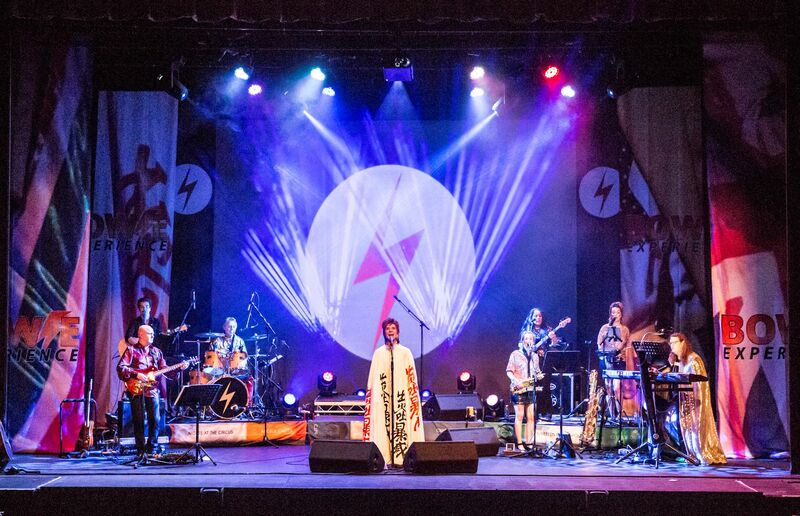 Bowie Experience is total quality and they present their vocals and musicianship in a gig that many could happily watch well beyond its finish time and the last moment of applause dies down and as a very satisfied audience goes home. 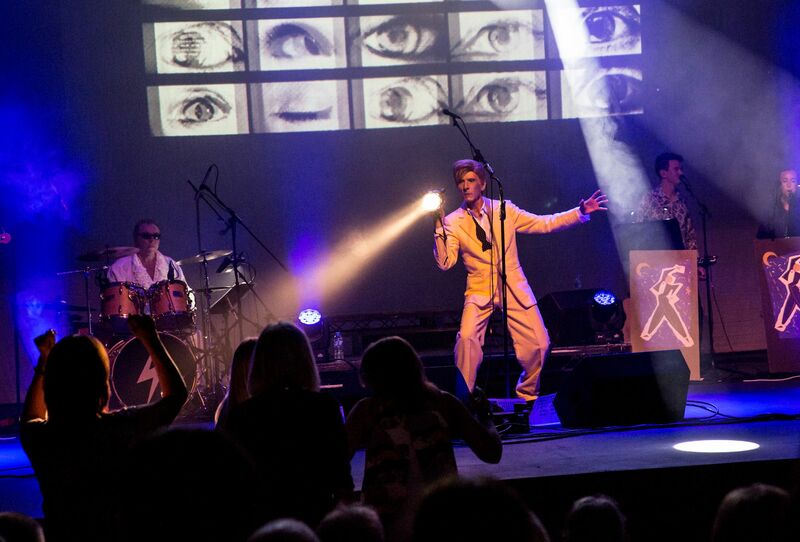 Bowie Experience leaves a very happy Nottingham audience and continues countrywide on tour. Catch them if you can and you will be rewarded with a superb evening’s musicianship with David Bowie songs that for many are the soundtrack of their lives. I found the show thoroughly disappointing. Music lighting and lead singers costumes good but vocals nowhere near which made it a pain to listen to and consequently I left early. Review: Priscilla Queen of The Desert – the musical. Christchurch Theatre Club. Loughborough Town Hall.